Our Tuscaloosa Divorce Lawyers are currently charging $290 for an uncontested divorce with no minor children of the marriage and $390 with minor children. An uncontested divorce is where you and your spouse have already reached an agreement and you are not arguing over anything. It is the quickest and easiest way to get a divorce in Tuscaloosa and Northport. If you and your spouse are in complete agreement on all marital issues and both of you are willing to sign the paperwork we prepare for you then you may be able to get a quick and simple uncontested divorce. You can get the uncontested divorce process started by calling and requesting we email or mail you out a questionnaire. You can also fill out a questionnaire on this website by going to the Get Started icon on the right hand side of the page. If you have any additional questions about your case, then our divorce attorney will be happy to speak with you. However, if you and your spouse have already reached an agreement and want a simple and cheap divorce, then give our Tuscaloosa and Northport divorce lawyers a call today! If you live in the Northport or Tuscaloosa area then you will likely be filing your divorce in the Circuit Court of Tuscaloosa County. 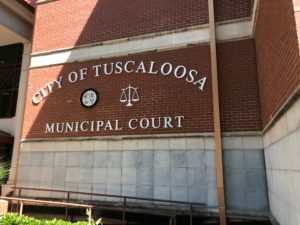 Tuscaloosa, like most other counties in Alabama, has their own unique requirements for uncontested divorce filings, which is why it is important that you obtain an attorney that is familiar with these local rules. Our divorce lawyers in Tuscaloosa can handle your uncontested divorce filing for you no matter where you live in the Tuscaloosa County area. If you and your spouse have already reached an agreement and are seeking a simple uncontested divorce, then our attorneys know all of the local rules to ensure that you get your decree as quickly and easily as possible. We are charging a discounted fee for uncontested divorces in Alabama ($290 if you have no minor children of the marriage and $390 if you do), so if you have no contested issues then you may be able to get a cheap and easy divorce in Tuscaloosa. If you have not reached an agreement and are seeking a divorce, then you will likely have to file a contested divorce to get the process started. In a contested divorce your attorney files a document called a Complaint, initiating your case, and has your spouse served. Service is usually done by certified mail or process server. Once served, the Defendant has a certain time period to respond by filing something called an Answer. If they do not respond then you can file a motion for default divorce, and the judge may grant your divorce by default. Our divorce lawyers in Tuscaloosa file cases in across the State of Alabama, and may may be able to help you file your contested divorce, depending on your circumstances. An uncontested divorce is almost always the best way to obtain a quick and cheap divorce in Tuscaloosa. However, even in an uncontested divorce there are still local rules and procedures that are unique to Tuscaloosa County, which is why it is important to hire a divorce attorney that is familiar with the local rules. For example, a Transitions in Parenting course is required in Tuscaloosa County if you have minor children of the marriage. This is a parenting class that is to be taken by the custodial parent in order for a decree to be entered by the court. Also, it is required of the non-custodial parent if they wish to exercise their visitation rights after the decree has been entered. There are a few exceptions to this, but in general it is required in all cases where minor children are involved. This parenting course requirement can delay your divorce decree from being entered by the judge, even in a simple uncontested divorce, since it is only offered on certain dates. In addition to this parenting course, the Tuscaloosa County Courts may also require certain language in your settlement agreement or other divorce documents that are not necessary in other counties. For example, the courts in Tuscaloosa County require that a motion be filed at a certain time during the uncontested divorce asking the court to enter your divorce decree. If this motion is not filed, your no fault divorce might be delayed for quite some time. An uncontested divorce is the quickest way to get a cheap divorce in Northport and anywhere else in Tuscaloosa County. The discounted fee that we offer is for our attorneys to draft your documents for you and, once they have been properly signed and executed, file them with the Court. This flat fee does not include the filing fee that must be paid whenever a divorce is filed (which in Tuscaloosa County is about $237, which includes a small convenience fee for filing online). After your uncontested divorce is filed, you should receive your divorce decree in about a month or two. If you are interested in a simple divorce in Tuscaloosa, then give our Tuscaloosa and Northport divorce lawyer a call today for a consultation.